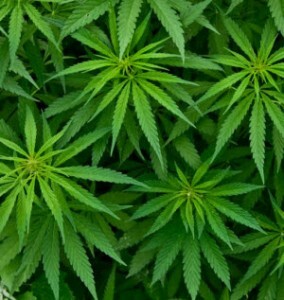 Landlords, are you aware of the growing problem of cannabis farms in rented properties? One of the darker areas of what HMRC calls “The hidden economy” is the growth in rental properties being used to grow cannabis. From small, ‘personal use’, kitchen table top affairs to full blown multi-million pound operations run by dangerous criminal gangs. Of course the average private landlord knows nothing of these activities when they are going on. The rent goes into the account, no repairs are reported and the neighbours have no anti-social behaviour to report, so as far as they know all is well. Trouble is, the equipment needed to run these cannabis farms will seriously ruin your property, as various pieces of ventilation gear can cause the farmers to knock holes in your walls to make them more efficient. Have a look at the photos below. This was a cannabis farm I attended this week where holes had been knocked in the walls of this three bedroom property to ventilate it. All three bedrooms were full of the stuff and the living room contained all the electric starter motors and regulatory equipment, as well as the drying gear. This was not a particularly big farm but it will cost the owner thousands to put right and the culprits will never be found. According to the London Fire Brigade fires in cannabis farms have doubled since 2010 leading to an average of one fire per fortnight. Serious enough on their own but imagine them in a tower block. I see a lot of these. Being in the trade as it were, albeit on the other side of the farmer’s fence, us local authority types have our ways of tracking these death traps down but what does the unwitting property owner or neighbour look out for? Well first off…..they stink and the smell is evident quite a way off. I went to one a few weeks back and we could smell it 50 yards away in the car as we pulled up, although admittedly the smell gets worse when the fans and ventilation are disconnected. Another sure sign is your tenant paying 6 month’s rent up-front. The reason being that while you or your letting agent are happily counting your money for a risk free tenancy you have no reason to visit the property, which leaves the farmers to get on with their 4 harvests a year. The increase I’ve noticed in the past few years is lazy cannabis farmers, by which I mean rival armed gangs just keeping an ear to the ground and then piling in mob-handed to take it over at harvest time. This has given rise to a number of ingenious booby traps that you would need to keep an eye out for, such as nails driven through planks of wood, buried under what looks like a discarded bin liner only to find it is wired up to the mains. So you get skewered and electrocuted at the same time if you don’t know what you are looking for when you stumble across one. I have metal insoles on my boots. When the gangs and the local authority have moved on all that is left is a wrecked investment property. Forget trying to trace the culprit, they don’t exist and if by some miracle you did find them, well you wouldn’t want to take them on. There are ways and means and contacts you can make that can help protect your investment property from cannabis farms and the neighbours from being killed. The first step is acknowledging that this is a major and growing (no pun intended) problem. I meet people who say “Oh it’s only a £20 bag of skunk for a Saturday night”, but it gets in their pocket by way of serious organised crime and while it’s growing the properties are wrecked and more importantly anyone living near them is in danger of burning to death. So you need to take care and be aware that this is a real and growing problem.